Is Dr. Ben Carson’s presidential campaign already sunk before it’s begun? According to several grassroots Christian conservatives in Iowa, a statement he made this weekend on social media may have torpedoed any chances he had in the first-in-the-nation caucus state. As Easter approaches, let us remember the role that Jesus Christ and God play in our lives. Let us also remember that Jews, Christians and Muslims all believe in God, and while there are ideological differences in who Jesus was, we should find peace in the fact that we are all God’s children. Jesus is my role model, and he preached love, he preached acceptance. He also was a man of values and principles, and he ended up being crucified for it. But, he rose again to advocate godly principles of loving our fellow man, caring about our neighbors, developing our God-given talents to the utmost so that we become valuable to the people around us, and maintaining high ideals that govern our lives. We must make certain that people of all types of faith are respected by one another. Let us remember that the First Amendment to the United States Constitution is one of the basic pillars of our system of governance and a founding principle of our nation, as it protects religious freedom. It is critical that we allow Americans to practice their religious ways, while also ensuring that no one’s beliefs infringe upon those of others. Rather than the feel-good statement he likely envisioned he was sending out, Dr. Carson has instead stepped on a political landmine. The comment received thousands of likes and shares, but also received thousands of comments. In Iowa, grassroots Christian conservatives — a key caucus demographic he has attempted to attract — rebuked the statement in droves. 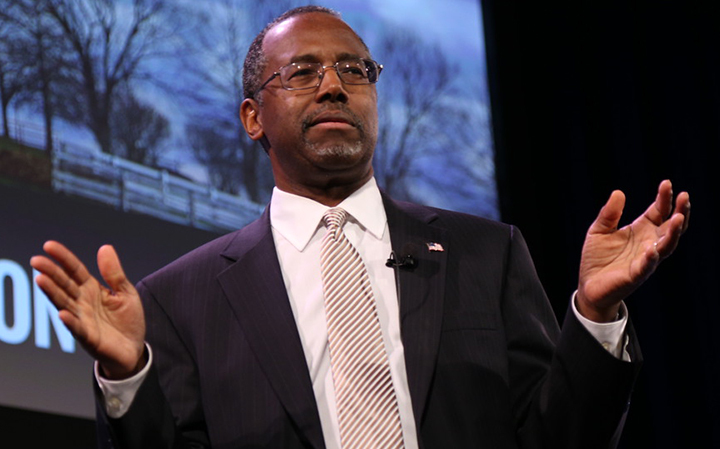 Carson has already had to “clarify” comments deemed critical of the Second Amendment. Expect another “clarification” soon.